Trailer Talk: What’s in a voice? 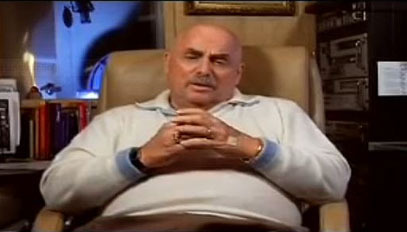 Don LaFontaine has been the most recognizable voice in movie trailers for decades. His voice had a tenor and resonance that established him as a legend throughout the voiceover industry. Thank goodness for Pablo Francisco and his hilarious spot-on impersonation of LaFontaine—in his standup comedy routine. Why don’t they hire Pablo to do the voiceovers for movie trailers. WHY? It takes a special talent to be able to voice overs like that. You can’t have anything that will kick the listener out, like sloppy diction, and you have to have the ability to give the right emphasis to the right things. There’s only a handful of people like that in Hollywood, and they work a lot. Peter Thomas is another popular voice over actor. Voice-over is a tremendous talent, easily as difficult to master as any acting. It’s surprising how many voice actors ultimately migrate to live acting. I’m particularly thinking of Chris Barrie, the UK actor who featured on Frankie Goes To Hollywood’s songs as ‘Ronald Reagan’ and ‘Prince Charles’ – then turned up on ‘Red Dwarf’. I did not realize that voice actors migrated to live acting. In many ways, I think voice acting is more difficult than live acting because you have to rely entirely on tone and inflection. In live acting, you have body language and facial expressions to work with too. My apologies for the late reply. I must get back into blogging gear!